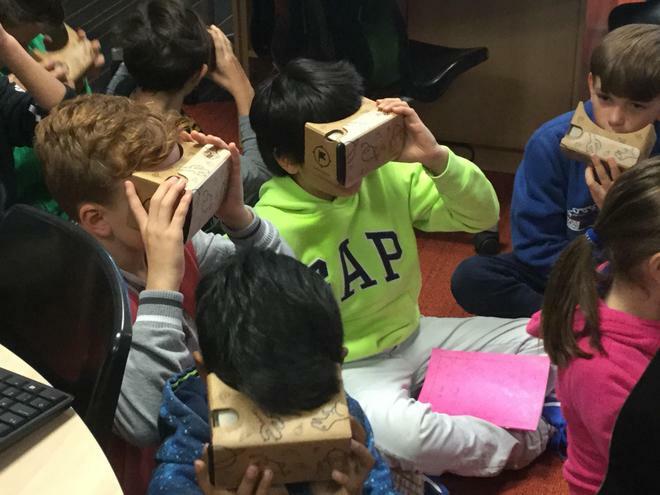 The KS2 children had an opportunity to be explorers when the Google pioneers Team visited school with their Expeditions kit. The children used viewers to experience a number of different environments in 3D guided by their teachers. There was great excitement as the screens came alight and the children realised as they turned their head the view changed; 'wow' and 'look at that' were two of the more common expressions as the Year 3 children explored ancient Egyptian sites, Y4 Borneo, Y5 Mayan Temples and Y6 the River Amazon and Brazilian Rain Forests. There were lots of positive experiences from the children at the end of their tours.